Amazona vittata the true Puerto Rican parrot is severely endangered and rarely, if ever seen. 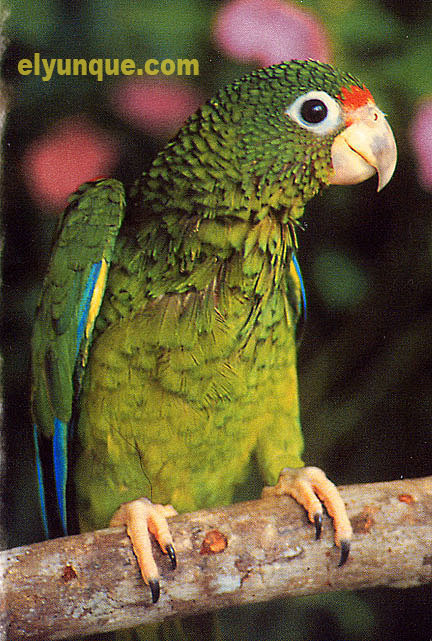 Hispaniolan Parrot is common in some areas of Puerto Rico. 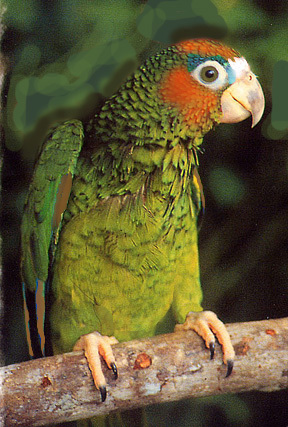 Orange Crowned parrot is also a somewhat common bird in Puerto Rico now.